DAGGERS: "GRIFO REST WITH YOU FOR A QUIET SALVATION"
The striker of the Perugian women's team speaks: "I'm sorry for the goodbye of Scapicchi, but Sciurpa knows the environment and we will fight for another positive season"
Luisa Pugnali is one of the most interesting players in the Italian women's football scene. The eyes of several observers are often finished on her, but her relationship with Grifo is so strong that it is not questioned. A few weeks ago the Seattle executives had selected him for an internship in the United States, which he unfortunately had to give up due to the high school exams. "The school at this time has the highest priority - admits the umbra striker - also because with the exams closes a course of study. Read more: DAGGERS: "GRIFO REST WITH YOU FOR A QUIET SALVATION"
Forlì - The joy of the Tavagnacco athletes at the end of the Italian Cup final that saw them triumph over Verona. To our microphones the hot impressions of two of the absolute protagonists, not only of the race just ended, but of the whole vintage of Friuli: Capitan Paola Brumana and Mister Marco Rossi. Paola, how much is this Italian Cup worth? It is worth a year of sacrifice and passion. Our strength this year was the group, without which these results can not be achieved. We had an extraordinary season, with a redoubled rose we came second in the championship with three points and we brought home a title that we hope is the first of a long series. What's missing in order to win the championship too, if something is missing? We just have to believe it, because we have shown that if we believe in it we can take away so much satisfaction. Believe ourselves to the end in what we do and always strive. Unfortunately, we have thrown away many points on the easy card that Torres has not lost on the way. Maybe that is missing, to be worse with the "small", because we have always played with the strong. Mister Rossi, how much joy for this Italian Cup, surely deserved? I believe that the result does not make a wrinkle, I would say that in the second half on a couple of occasions we could close it permanently. We played this match as we had prepared it, so I have to say that the girls were really good, as well as in the whole championship. Let's not forget that we have not lost since the last ten races of the last championship, so we must be happy with what we have done. We knew that with this tactical set-up we could have come out at its best and in fact we were rewarded. It seems to me that the result is right at the end. At this point, you can not point to the Scudetto for next season. It must be imperative ... Winning is not easy. This year we went close because the group was very cohesive throughout the championship, but we also need other conditions. We must not forget that Torres trains in the afternoon, while we are in the evening. These are details that ultimately make the difference. We will try to do something good next year. We also have the Champions League so we will have to take that into account too. But if we keep this attitude in the field and this desire to do well, nothing can be precluded. 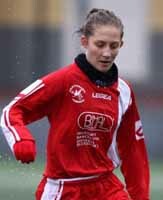 FIORUCCI: "DISPIAPS FOR SCAPICCHI, BUT THE GRIFO IS READY TO RETURN"
Grifo Perugia midfielder makes the point after the historic salvation: "A great satisfaction: next year, if the group does not lose the pieces, we can do even better"
Corinna Fiorucci is one of the historical columns of Grifo Perugia Female despite her young age (1989 class). 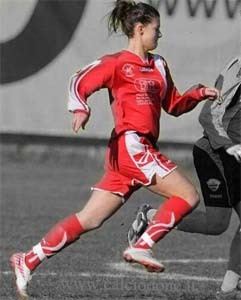 Milita in red and white training since she is thirteen years old with a landing in the first team already at fourteen. Now he is vicecapitano and is a fundamental pivot of the team. The "Pirlo" of the Grifo, which also this season was decisive for the conquest of salvation: his goal on a penalty kick that earned the temporary 2-1 in the play-off play-off against Fiammamonza. Director with velvety feet and a trainer in the grass. For two years he has been preparing the path for a future employment with the youth sector and with the boys of the Pulcini formations. 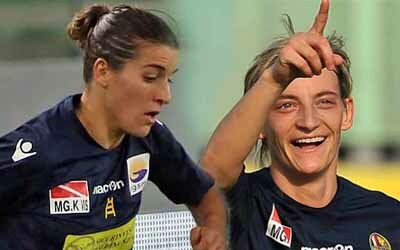 Read more: FIORUCCI: "DISPIACE FOR SCAPICCHI, BUT THE GRIFO IS READY TO RETURN"
Verona - Verona and Torres for a decade now are synonymous with great emotions. Before the sardines impose the hegemony on the tricolor title of the last seasons, it was the scaligere team to beat for excellence. Then, as often (perhaps too much) happens to our football, societies encounter difficulties and the leaders are forced to change the helmsman if not to see their toy crumble. This happened three years ago also at the then "Bardolino" with the aftermaths that we all know. Since then the rivalry between gialloblù and Sassaresi has never diminished, despite the downsizing of the obliged staff under the Arena and the consequent increase in technical gap between the two teams, clearly to the advantage of Torres. 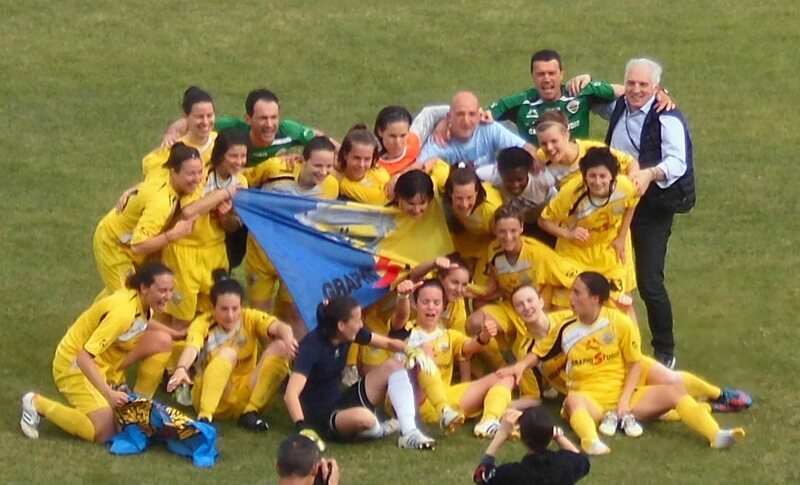 The Verona in the challenges with the island has always put in place everything possible, but the superiority of the team trained first by Tore Arca and now by Manuela Tesse was clear. This at least until last Saturday. Of course, the Sardinian champions already in Italy had perhaps some less stimulus than the Venetian, eager to redeem a decidedly crooked championship, but the 400 present all'Olivieri saw a great Verona struggling on equal terms against the Queen of Italy. It should not deceive the result sanctioned only by penalty kicks, if a team has deserved the passage of the round was certainly that gialloblù. The Torres, which is still the strongest team on the national scene, does not come out of scale, but a great out of Verona comes out, showing that with a little more luck it could certainly have fought for the top even in the championship. We asked for an opinion of two of the great protagonists of this great challenge, Cristiana Girelli and Raffaella Manieri. Cristiana, how satisfied is the satisfaction after the decisive rigor of Maria Karlsson? It was a liberation. When Maria approached the ball we turned to the line assistant and asked "Sorry but how much are we?" and he replied "You are three to two, if you score you have won". I was sure that he would score because it was the right epilogue after all the misfortunes we suffered in the championship. We felt an immense joy and now we hope to end in beauty and to win this Coppa Italia that we deserve. It's been a long time since we've won anything, the last trophy I won was then. For me it is an immense joy to be able to play this final, we hope to win, but I'm sure we can do it. Raffaella, only the penalties have stopped the journey in the Cup to a Torres who has made another great season. The same thing happened last year, so I would say that with the penalties we are not lucky, since it never ends in our favor. But we must also give due credit to the adversary who believed us until the end, because of our mistake and because they were good, they drew at 48 '. I congratulate him and my good luck for the final. However, the great joy for the seventh Scudetto won remains. Yes, certainly, but we had already celebrated it and put it on the bulletin board. Now we lacked the Italian Cup, which is always an important goal like all the others. We wanted it, but unfortunately we go out on penalties. Now for you and for the national team there is an important goal that is the European. What expectations do you have from this event? I expect a great European with a protagonist Italy. We want to show everyone that Italy is always there and is second to none. MARTINA: COURAGE AND PASSION FOR A GREAT RISING !! 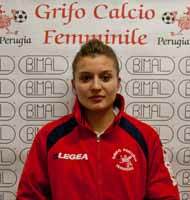 Hello Martina, you are one of the most promising young female players of Italian women's football, do you want to briefly tell us who you are and how did you approach this sport? I'm Martina Ceccarelli, I'm sixteen and I attend the second year of the Galileo Galilei High School of Perugia. I've been playing football since I was six, I started with a team from my country: "GRIFOPONTE TORGIANO". I was the only girl in the middle of many boys but the passion was stronger than shame. A passion born in front of my house, perhaps simply in the family since most of my cousins ​​love football and every excuse was good to play. I remember with joy the first moments inside the game rectangle, I was the "different" one but everyone accepted me for what I was, and it did not matter the origin, the color of the skin or many other things, what really mattered was knowing how to play and know how to have fun !!!. Now here I am, a little 'grown but always with the same desire and ambition. Read more: MARTINA: COURAGE AND PASSION FOR A GREAT RISING !! PP-How did you approach the world of football as a child? Gabbiadini - I started kicking a ball at the age of 9. In the family already everyone played soccer, dad, uncles, cousins ​​and so I can say that mine is a hereditary passion. Today I'm still here with the same passion and the same desire that pushed me to start this sport twenty years ago. Dear - Since I was a child, I've always practiced sport. At the beginning I started with artistic gymnastics, then with skating on the road, where I was also a regional champion and finally with volleyball. However, I continued to pursue my passion for football and so, which was also pushed by my classmates, I presented myself in the men's soccer team in my country, the USGassino. Subsequently, however, the football and volleyball training began to overlap; it was then that I chose to continue only with the football in the men's team, where I played for five years, up to the first superior.